It seems as if the Sri Lankan cricketers are fast learning the art of cheating and depriving a player of a landmark when he is on the verge of achieving it. 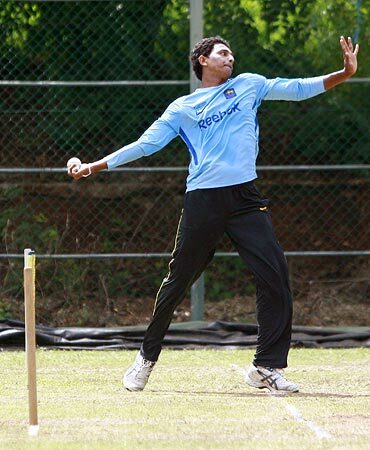 If Suraj Randiv deliberately bowled a no-ball and denied Virender Sehwag his 13th century in One-Day Internationals, when the Indian opener was facing him on 99 at Dambulla, he had only taken a leaf out of his team-mate Lathis Malinga's book. Only last year, when India was about to reach the victory target of 240 in the third ODI at Cuttack, with Sachin Tendulkar batting on 96, the Sri Lankan quickie bowled a wide on purpose. It resulted in five extra runs and India romped home by 7 wickets in 42.4 overs. But Malinga achieved his objective, as Tendulkar was stranded on 96. Indeed, depriving a cricketer, or the entire opposing team, of an achievementis is not a new phenomenon. Cricket is littered with such unsporting incidents. W G Grace, the much glorified father of cricket, was said to be one of the "finest cheats". Fact is the game has always been played on the frontiers of gamesmanship under the mask of sportsmanship. Remember how Trevor Chappell bowled underarm to prevent New Zealand tailender Brian McKechnie from possibly hitting the last ball of the match for a six at the historic Melbourne Cricket Ground in February 1981? It was a crucial ODI and the Kiwis, batting second, needed six runs off the last delivery to tie the game. 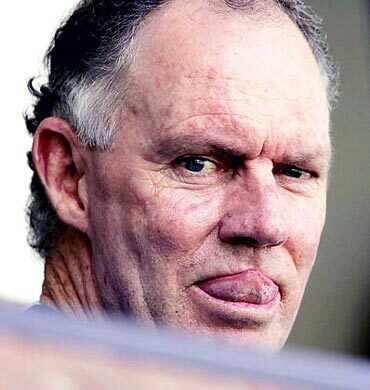 So Australia's captain, Greg Chappell, throwing all principles of sportsmanship into the dustbin, instructed his younger brother to bowl underarm. Though Australia won, Greg was all but lynched by the world media. He was not spared by many former cricketers either for stooping so low to conquer, as it were. McKechnie had no pretensions whatsoever to batting and wicketkeeper and vice-captain Rodney Marsh, as well as some other members of the team, had rightly advised Greg against putting into practice such a blatantly unfair decision. When he ordered Trevor in no uncertain terms to do what he was told, Greg had to face strong opposition and choicest expletives from Marsh on the field itself. Protesting what he termed "a cruel decision", his elder brother Ian Chappell, the former Australia skipper and today's outstanding television commentator, did not speak with him for a long time. It is, of course, a different matter altogether that Ian is no angel either. He was known to challenge umpires' decisions, both as a batsman and captain. Admired for his majestic voice, but often criticised for his saucy language, Ian is credited with having perfected the art of sledging. He was alleged to have removed his trousers on the field in protest against an umpiring decision. Pakistan captain Zaheer Abbas tried his best to prevent Sunil Gavaskar from scoring a century in India's second innings in the first Test at Bangalore in 1983-84. It was the last session of a tedious Test heading for a tame draw. Only formalities had to be completed. The mandatory overs were going on. Armed with the newly-introduced rule by the ICC, the bespectacled Pakistani wanted to call off the Test after 10 mandatory overs so that Gavaskar could not complete his century. The rule says that if the Test is heading for a draw, and if both captains agree, it may be declared over during the mandatory overs. Kapil Dev was India's captain in that boring series. But always a smart cookie, Gavaskar argued that as a batsman at the crease, along with his junior Aunshuman Gaekwad, he was in charge of the Indian team. When Zaheer insisted on taking his team off the field, senior umpire Swaroop Kishen warned him of awarding the Test to India if he did so. The poor Pakistani had no other option. The batting ace had the last laugh. Soon after completing his century, Gavaskar (103 not out) and Gaekwad (66 not out) headed towards the pavilion, followed by the Pakistani team. 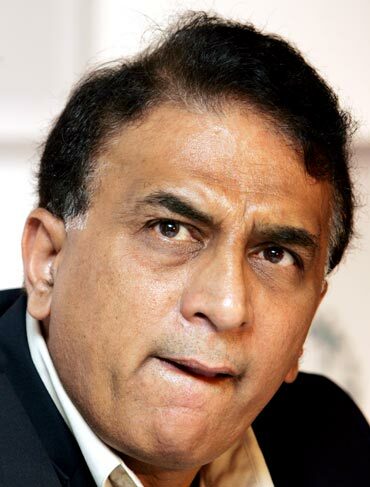 Although his hundred served only an academic purpose, Gavaskar, nevertheless, proved a point. The master opener was least bothered about the severe criticism he had been subjected to for the next few days. 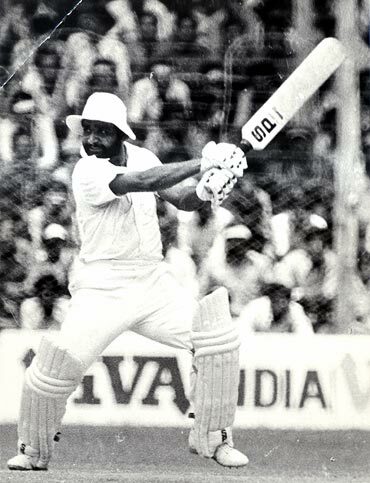 Unlike Gavaskar, his brother-in-law Gundappa Viswanath, who was always ready to sacrifice his wicket for the team's cause, had not insisted on completing his century in a similar situation in the third and final Test against England at The Oval, London, in July 1982. The elegant batsman was well within his century in the dying minutes of the game on the final day. The mandatory overs were on and Viswanath was batting in his customary artistic, brilliant manner, having scored 75 out of India's score of 111 for 3. Even the home captain Bob Willis asked him to continue playing and complete his hundred. But Viswanath, who was never interested in figures and records or personal achievements, politely refused. With nothing left in the Test, not even a remote chance of a result save a draw, Viswanath (75 not out) told his partner Yashpal Sharma (9 not out) that there was no point carrying on batting just for the sake of it. When they were returning to the pavilion, followed by a clapping English team, Viswanath was given a standing ovation by an appreciative crowd.